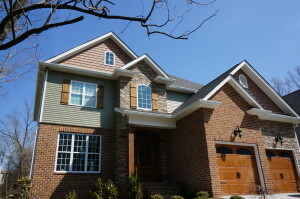 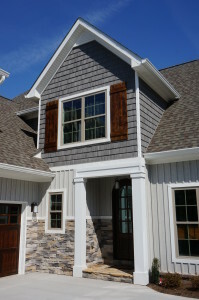 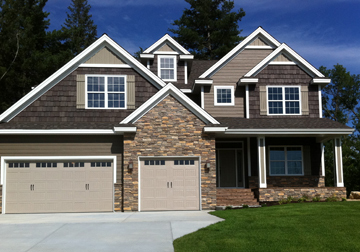 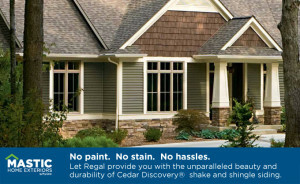 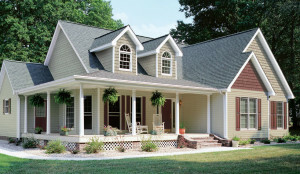 Shake Siding is siding made from shakes (pieces of wood split from a log) or vinyl. 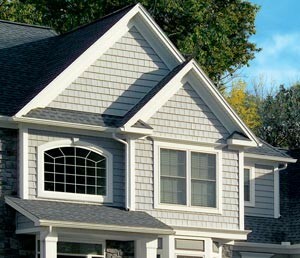 Shakes are sometimes confused with shingles. Shingles are made by sawing a piece of wood on all sides to cut it to the appropriate size. 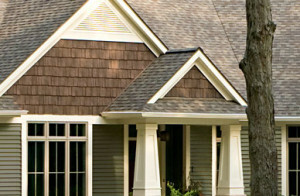 Shakes are made by cutting wood down and splitting it. 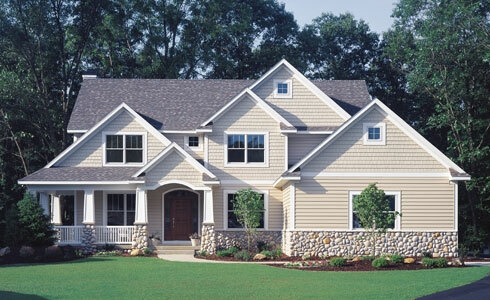 As a result, shakes have some natural variations in shape and size, and a more rustic look. 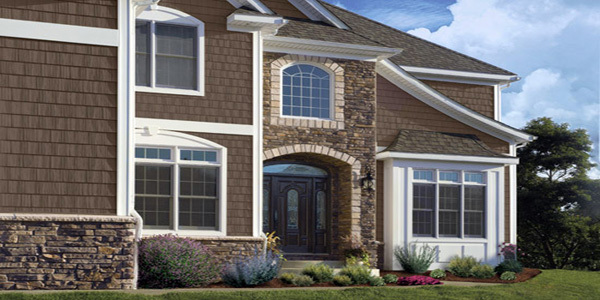 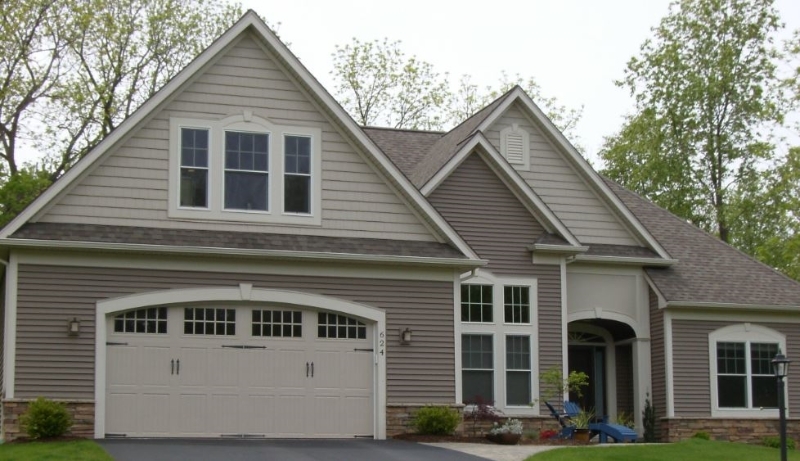 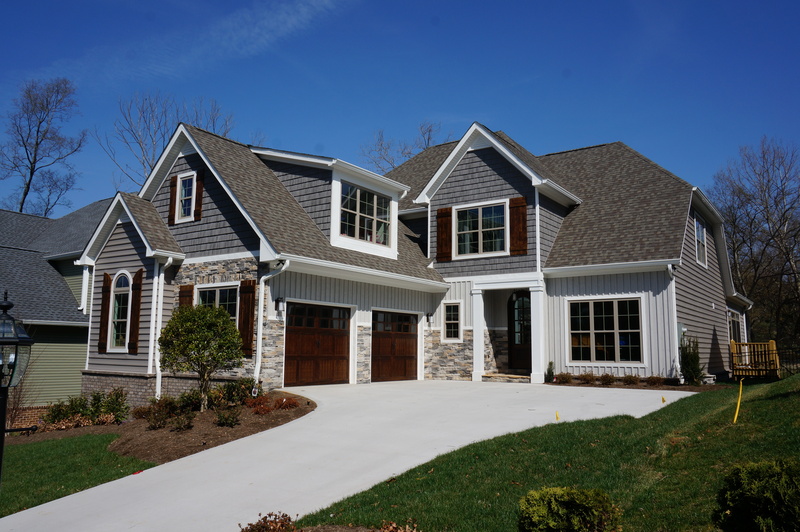 Shingle Siding as mentioned above are very similar to Shake Siding with a manufacturing difference that gives a different feel.